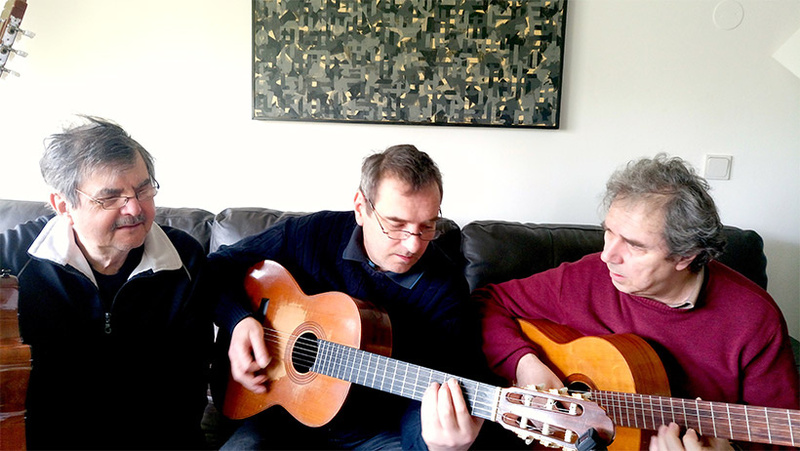 These three guitarists were joined by their love for music, any type of music, as long as it is of high quality, but in particular by the joy of making music and spending time together – in relaxed, interactive settings rather than at concerts. And that in-between space is where he feels most at home. The common denominator of his classical and pop music creations is ‘groove’. He is constantly and passionately drawn to this ‘feel’ that makes music so charming and precious. "Good music must lift the listeners and carry them,” he says. A classical guitarist and composer whose best-known work is the music adaptation of Kajetan Kovič’s Maček Muri (Muri the Cat) with Neca Falk, has specialized in performing solo pieces from the rich classical guitar heritage, chamber music and teaching. Like many other classical musicians with whom he played on concert stages in Slovenia and abroad, Jerko was always open to different types of music. In his younger years, he collaborated with Tomaž Pengov and the Salamandri band, later with guitarists Igor Leonardi and Marijan Blažina, but his most regular musical partners are his brother Miro and Aleš Strajnar. Teaches the classical guitar and singing in other musical genres, in particular the music of the 1960s and 1970s. Miro is well-liked as a witty and straightforward musician who can enjoy the moment. He is still practicing and making music with his childhood friends, and this time he will play for you with his brother Jerko and Aleš Strajnar.